Among the trucking jobs available, many companies in the age of energy transportation and energy require or desire drivers with a Hazmat endorsement. 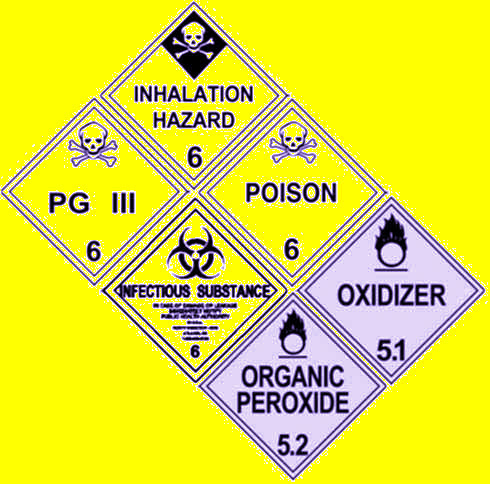 Hazmat is an abbreviated form for 'Hazardous Materials'. Consumers may take for granted the process behind most of the products shipped by Hazmat drivers as the end product is contained elsewhere. Many of these materials can be found daily in transit on the highways and within pipelines running throughout the country. Drivers who transport Hazmat commodities are integral to the operations of everyday consumers as well as larger companies. The list is seemingly endless as to what Hazmat-related products aid in keeping everyday operations running smoothly. There are certain qualities and traits a driver must possess - Chief among them, a long and qualified experience in the industry. Many employers also frequently list the attribute of “Detail-oriented” under the job description. For a pursuit that is ultimately a high-pressure environment, only the most dedicated a those with the greatest mental fortitude ought to look into a Hazmat career. As with many commercial licenses, the first step in obtaining a Hazmat endorsement requires a driver to fill out an application, register for the endorsement, and pay for fees associated with fingerprints, background checks and the like. A Hazmat endorsement is a qualification from the Transportation Security Administration, TSA, and therefore a driver must be properly verified before moving forward with the application process. Once a driver is verified by the TSA and DMV, they will then take the exam itself to qualify for the endorsement. A test similar in format to the written portion of the driving exam, the test for the Hazmat endorsement tests the practical knowledge of a driver in relation to safety standards and protocol on the road. Drivers can take this test in-person at their DMV or online if they choose. Some states do require that a driver take the test in-person for the first time. After completing the test, a driver will maintain a valid endorsement for 5 years. In short, the road to obtaining a Hazmat endorsement takes two things – money to apply for the test and time to devote to studying for said test. There’s no easy answer in what company will be the best option for a driver with a Hazmat endorsement. That in mind, there are a wide variety of opportunities for drivers with companies across the country, both large and small. A great deal of available opportunities depend on a driver’s geographic location. Some oil abundant or gas-rich areas will have more opportunities than other areas, while some drivers will find that Hazmat endorsement will allow them to make regional runs between areas that are equally energy-rich. Drivers should be aware of positions that require a driver to hold both a Hazmat endorsement as well as a Tanker endorsement, or another qualification such as Doubles or Triples. It’s not entirely common that a company will only be on the lookout for a driver with multiple endorsements. However, when a position requires Hazmat among other endorsements, a company is unlikely to consider a driver who only meets part of the qualifications. Statistics show that America needs more truck drivers due to the busy schedule that involves the transportation of gas, crude oil products and other energy-related commodities. According to recent research, there has been a shortage of over 50,000 truck drivers. The economy rides on these drivers as most of the workload in majority of most companies involves the services of truck drivers. Many companies are following the trend of paying these qualified drivers more and rewarding Hazmat positions with more benefits and incentives. The berth of job openings immediately increases when a driver has an endorsement, granting the opportunity of a less grueling job-seeking process. The ends generally justify the means for these positions, for the job can be incredibly stressful and require a driver to operate with the utmost diligence and precision on the job. All driving jobs require these skills of a trucker, but as a Hazmat driver, the importance is two-fold. With resilience and diligence, a driver can find a Hazmat driving position that proves to be incredibly prosperous and one that can provide for a lasting career on the road.